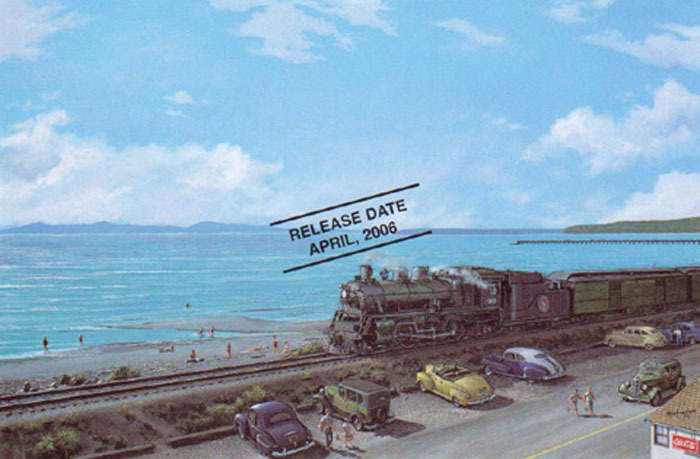 Image Size: 9" x 6" Framed Size: 14" x 11" From the railway station just beyond the pier Pacific #1361 works its Seattle bound train along the beach towards the U.S. border at Blaine. Nearing the end of her career in this summer of 1948, she'll be replaced by orange diesels. These are also long gone and the Great Northern Railway now forms part of today's Burlington Northern Santa Fe.